As a part of its its WWDC 2015 keynote, Apple announced that iOS 8.4 and a new version of iTunes will be available by June 30, in time for the launch of the on-demand Apple Music streaming service. Apple did not elaborate on the features of either update beyond Apple Music support. iOS 8.4 has been in beta for months however, and is known to include a radically redesigned Music app built not just for Apple Music but for better local file playback. Some planned improvements to Music include global search tools, new gesture controls, and above all a MiniPlayer that will let people control music playback from anywhere in the interface. 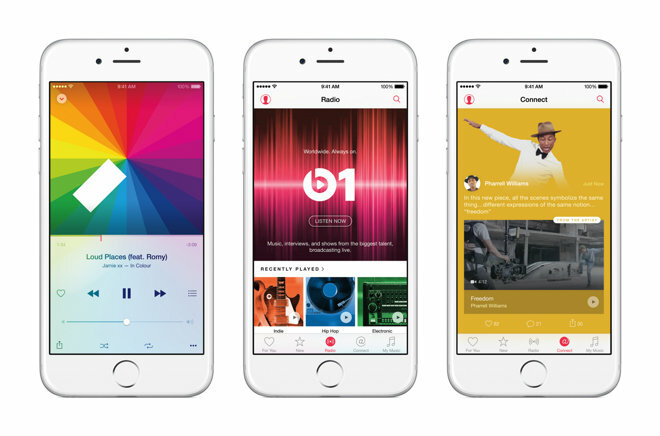 Apple notably announced that Apple Music will be coming to Android and the Apple TV this fall. The former will be Apple's first-ever original app for Android, a platform the company has normally avoided in order to push iPhone and iPad sales. Currently the company has just one Android app, Beats Music, a holdover from its takeover of Beats last year.